Back in November the daily fantasy sports powerhouses DraftKings and FanDuel agreed to a merger, but there’s now no guarantee the Federal Trade Commission will sign off. According to a report from Recode.net, the FTC’s antitrust review might result in the deal being blocked. The companies would control some 80-90 percent of the DFS market. According to research released earlier this year from Eilers & Krejcik Gaming, DFS revenue grew by about four percent last year to about $3.26 billion. 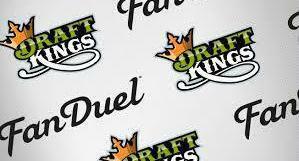 DraftKings and FanDuel reportedly still aren’t profitable, however. Revenue for 2016 had previously been projected at more than $4 billion. The market is projected to be $4.8 billion in 2020, down from a prior estimation of about $8 billion. The two companies have historically spent lavishly on advertising and have had hefty legal expenses thanks to a handful of states challenging the legality of the contests. The merger, if approved, is expected to help solve both issues. The Recode report implied that some people at the FTC are eyeing a lawsuit to try to block the deal, but the decision ultimately comes from the commissioners. The fate of the merger could depend on whether the government contextualizes their respective businesses within the larger fantasy sports space, which includes the still massively popular season-long leagues. Nearly 60 million people played season-long fantasy in 2016.